Designed to achieve excellent on-road performance with light off-road capabilities, the Dynapro HP RA23 is an excellent tyre for powerful SUVs. 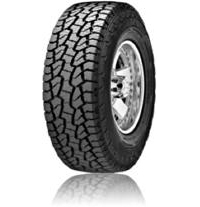 Constructed with an embossed tread pattern style, this tyre achieves enhanced off-road traction thanks to its ability to retain contact with the terrain. On-road, the Dynapro HP RA23 provides improved dry braking and superb handling, due to its specially designed centre rib. The Dynapro HP RA23 delivers increased resistance against aquaplaning thanks to four straight channel grooves which work to rapidly evacuate water away from the tyre.